Technology continues to advance rapidly making earlier versions of projects obsolete in a short amount of time. With all of the changes that are implemented at a quick pace, you need to find business platforms that are able to adapt just as fast. This could include altering practices, utilizing more data analytics and ensure that each department of the business is operating at full potential. One method that has been gaining momentum for business and schools alike is bring-your-own-device. In this setting, employees are encouraged to use their own computer equipment for work. After proper security settings are in place, this can save a business an incredible amount of money annually. This savings could come in the form of IT support, upgrades, hardware repairs and much more. Employees are responsible for their own equipment releasing the business of any financial needs. One of the reasons why this is becoming a popular way to conduct business is through mobile technology such as smartphones. Nearly every aspect of a business can be operated from an individual’s own device. Predictive analytical software is more than simple data crunching. Depending on how elaborate the software is developed, it can forecast many different aspects of a business with a high level of accuracy. By taking a series of data inputs, software such as this can calculate trends such as customer purchases or client requistions based on metrics like weather patterns. The possibilities for predictive analytics are near endless while providing a real-time monitor of changes as they happen. 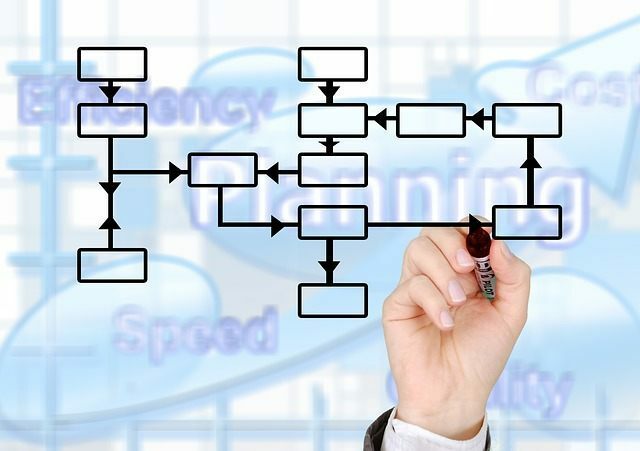 Governance and monitoring software can keep a business efficient by properly allocating resources and projects to the right personnel. This could govern everything from tools and equipment to financial budgets and acquisitions. The more integrated you can make your business with proper management software, the greater are your chances of reducing waste through man-hours and supplies. Some of these applications are also able to allow management to prioritize workloads and discover problem areas quicker. By getting to the root of complications as they happen, you can reduce lost production time and revenue. One of the most profound changes in business today is through the use of mobile technology. This allows employees to continue working whether they are in the office or not. Businesses that rely on field operatives are working with greater efficiency and management can monitor employee workflows from anywhere that has an Internet connection. Depending on the type of business you operate, it could be completely feasible for an employee to operate his or her job function from the use of a smartphone or tablet. The atmosphere of an office has evolved into fitting inside someone’s pocket. By using methods that are in a state of ever-growing functionality, you could keep various parts of your business from becoming obsolete. Whether you turn to Cloud-based applications and networking or develop strategies to optimize time with mobile applications, technology will help keep your business more efficient than it may have been otherwise. Closely examine your organization and determine ways that you can increase efficiency and decrease your overhead costs.